If you've ever wondered how that impossibly calm, resourceful colleague or friend keeps a level head under pressure—while juggling a full schedule and not pitching a fit about it—chances are she's already up to speed on mindfulness and daily meditation exercises. Nowadays, these exercises can be done with using our phones. With the right app, you can reach full mind and body relaxation. 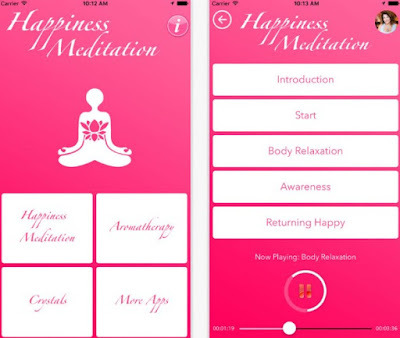 We did our research and we have a wonderful meditation app – Happiness Meditation. With this lifestyle app created as a meditation tool, users can easily find their happiness and reach complete inner peace. The app is developed for IOS users and it is offering meditation techniques for complete relaxation of the mind and body. 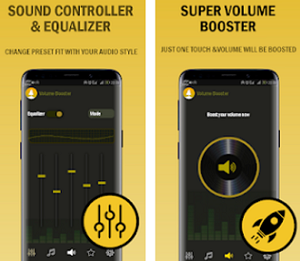 The app is created by one experienced teacher of mindfulness relaxation and Spiritual Response therapist that offers the latest and most efficient relaxation and meditation techniques for easing every muscle in the body of the user. On the app users will learn to appreciate the things they have in life. The app's visualization is allowing users to easily go into a deeper state of relaxation and find peace of their mind and body without much effort. The users need to listen to the meditation every day for at least 6 weeks and the results will show. 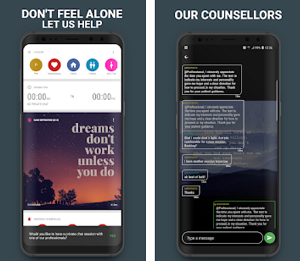 The app is giving the users 5 simple steps for reaching complete peace as introduction, start, body relaxation, awareness and returning happy at last. With following these steps, users will find their happiness for sure. On the app, users are learning how to use aromatherapy to fight stress and depression, and how to use crystals like the sunstone to calm themselves and become more confident. The meditation is read by the creator in beautiful and calming voice. Download the app now on App Store.